If you want to find out how much our deep carpet cleaning or rug cleaning services cost - contact 020 3404 0500 or send us an online request here. We are there for you non-stop. Excellent Carpet Cleaning offers high-quality, affordable and reliable rug and carpet cleaning in Hounslow West TW3, suitable for domestic and commercial properties as well. We are constantly investing in hiring the best cleaners and personnel, as well as in buying the latest and most modern professional cleaning tools, technologies and Prochem certified solutions for cleaning, which are perfectly safe and tested for the environment, people and animals. Our cleaners all work in accordance to the safety and quality procedures which we have implemented, as well as the detailed cleaning checklists which we have developed for every professional cleaning service which we provide. So, if you are in Hounslow West TW3 and you want reliable, efficient and affordable carpet or rug cleaning, go ahead and book our professional cleaning service right away! Our 24/7 customer service centre is at your service and anticipating to receive your booking request night or day. Just call 020 3404 0500 or send us an online request here. You will receive confirmation via text message and an e-mail in the next 2 hours. There is not any deposit for booking our cleaning services. 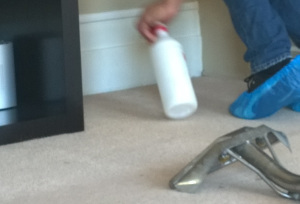 You can order our carpet and rug cleaning service for any day of the year or order same day - emergency. We offer discounts for booking several services at a time, so take advantage of our offer and book a combination of carpet cleaning along with another service we provide and save time, money and other resources. Our teams will provide you with all services ordered on one visit. Book today!